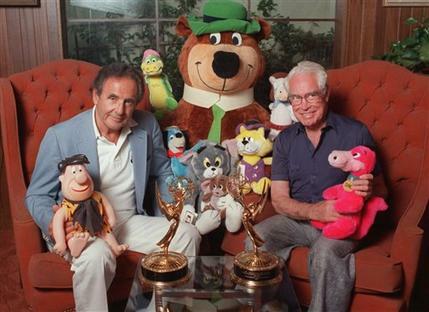 Joe Barbera died yesterday at the age of 95. Joe Barbera was, of course, the co-founder of the Hanna-Barbera studios with Bill Hanna which was, more or less, created out of their Tom and Jerry cartoons and commercials while at MGM. The studio went on to produce much loved classics like The Flintstones, Huckleberry Hound and the Jetsons. Cartoon Brew are collecting memories and tributes. UPDATE: John K now has a great tribute over on his blog.